These capital investments have transformed Midtown’s major corridors with new sidewalks and bicycle facilities, decorative lighting, street trees, landscaping, street furniture, improved crosswalks, traffic signal management and other vehicular improvements - all of which reinforce the district’s strong urban identity. Midtown Alliance continues to implement public space improvements and sponsor special projects to maintain and enhance the district. View the current map of our Capital Improvement projects. Midtown Alliance undertook its largest transportation study yet to examine districtwide mobility beginning in January 2016. Through this study, Midtown Alliance is seeking to ensure the area’s long-term vitality, reinforce transit investments, and manage vehicle traffic while continuing to offer a quality environment for walking and biking. Over this year-long process, with input from thousands of people in-person and online, we assessed needs, evaluated and prioritized projects, and identified programs and strategies to create an action plan for implementation. We encourage you to learn more about the challenge this plan will address, view the planning process, read about existing plans and trends in mobility from across the country, and stay connected on plan updates. 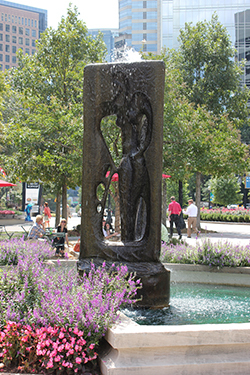 Over the last twelve years, Midtown Alliance has designed new parks and plazas including the Arts Center Plaza at the intersection of Peachtree and 15th Streets; Ponce Triangle at the corner of Ponce de Leon Avenue and Peachtree Street; refurbishment of the Athletes of the World monument and greenspace at the intersection of Peachtree and West Peachtree Streets; and a "Reading Room" park at Peachtree and 10th Streets in partnership with the Atlanta History Center. Routine sidewalk maintenance, including concrete and paver replacements, curb ramp repairs, and driveway/apron repairs. Landscape management, from tree planting and replacement, to water-wise gardens, tree well fencing, flower pots, and median landscaping. Multi-modal enhancements: transit stop improvements and bicycle rack installations. Management of trash and recycling, as well as placement of new receptacles. Amenities and urbanism initiatives including installation of Little Free Library locations. 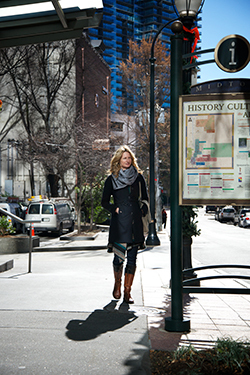 Read about more of our future projects and enhancements making Midtown the heartbeat of Atlanta. Our monthly Capital Projects Update covers what's under construction in the neighborhood.